I am thankful for the beautiful, burdensome, blessing of adoption. Read and share? "10 Frequently Asked Questions About Our Open Adoption"
In 2002, when our son Houston was nine months old, my husband Jeff and I began trying to conceive a second child. After an arduous journey through failed infertility treatments and the domestic adoption process, we welcomed our son Scotty in May 2010. 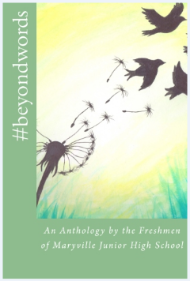 Jeff and I spent a total of eight years thinking, journaling, daydreaming, and asking questions. Now that our mystery is solved, we find ourselves answering questions. We’re in a unique position; we can compare Jeff’s 1963 closed adoption to Scotty’s 2010 “wide” open adoption. Many of today’s birthparents seek some form of open adoption. Many adoptive parents do too. So you may have questions. These are the most frequently asked questions we hear regarding our relationship with our younger son’s birth parents, Kerri and Bryant. I hope they comfort and help you. 1. What exactly is an “open” adoption? Open adoption means that there is some level of direct communication between the birth family and the child and his/her adoptive family. In other words, instead of sending communication through a third party (attorney, social worker, agency), you text, call, email, correspond, etc. directly with one another. The frequency and type of contact is determined by your and the birth parents’ comfort level. Jeff and I like to text pictures and funny things that Scotty does to Kerri and Bryant. We’ve met Bryant only once because he lives five hundred miles away. But Kerri lives only ten minutes away. So we see her four or five times a year. We usually go to her grandparents’ house so her extended family can enjoy Scotty, too. 4. Is it hard for Kerri to see him? I asked her this same question. She said that it is emotional but actually makes her feel really good about the decision she made to place him with us. She said she loves seeing him happy, growing, and learning. Instead of regret, she finds validation. 5. Is it tough on you to visit with them? Yes, mostly because I dreamed eight years for a baby and cannot comprehend the sacrifices they’ve all made to make my dream come true. Plus, I always want my sweet toddler and my pre-teen son to behave and engage Scotty’s birth family with kindness and affection. My anxiety is based on my own emotional stress. Scotty’s birth family has always been very sweet to us. The experience, for me, is tiring but rewarding. And I’m always in awe of how much love they show toward both my children. 6. When do you think Kerri will move on with her life? Our open adoption relationship actually helps Kerri “move on” with her life. When I share Scotty news and pictures with her, she laughs and compliments him and me and brags about his genetics. She is an extremely well-adjusted birth mother (much thanks to counseling from our agency pre- and post-placement). Kerri is 25 and doing well. 7. How long will you keep talking to them? Kerri made me a mother again and made my son a brother. I will talk to her for the rest of our lives. She is my friend and she is Scotty’s birthmother. 8. Won’t the relationship be confusing for Scotty? Open adoption helps alleviate mystery and confusion for birth parents and adoptees. 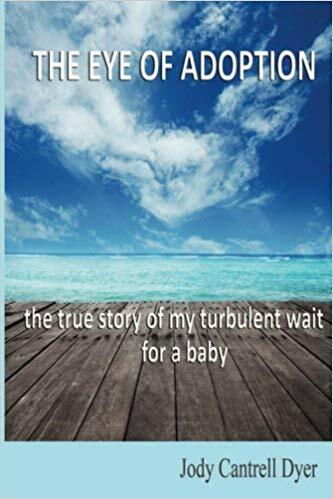 Scotty will know his birth family, genetic roots, the circumstances of his conception and birth, and, most importantly, that he is loved by those who created him and those who parent him. The truth is not confusing. The truth is liberating. 9. What about when he’s a teenager? Do you think he’ll ever want to go live with Kerri or Bryant? No. In every essence of our beings, Jeff and I are his parents. In every essence of Scotty’s being and life experience, he will know he’s our son. Nature and nurture do not compete. They complement. Kerri, Bryan, Jeff, and I have the same goal: for Scotty to be mentally, physically, emotionally, and spiritually sound and happy. 10. Do you wish you had a closed adoption? Honestly, sometimes I do envy my friends who simply “got their babies” and have no entanglements with the birth families of their children. Perhaps a closed adoption would be easier for me. But adoption isn’t just about me. It’s about everyone involved. Every time I speak to Scotty’s birth family, I am in awe of their strength, compassion, sacrifice, and love. I sincerely love Kerri and Bryant. Open adoption has taught me more about faith and love than any experience in my life. Plus, in my heart, I think open adoption suits our families’ personalities (adoptive and birth) and that, in the end, Scotty will benefit most of all. He will never question, never doubt that he was and is loved by his birth family. And, if he ever does, all he has to do is ask them. 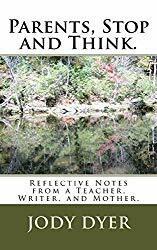 Several authors and I reduced our books' prices to $0.99 on Kindle for the entire month of November. As a sign of support and understanding, share this list with (or buy these books for) relatives and friends touched in some way by infertility, crisis pregnancy, or adoption. Readers who don't have Kindle devices can download the free Kindle app from the books' Amazon.com pages. The books' topics range from infertility to domestic to international to foster adoption. Happy National Adoption Awareness Month! Share with someone you love. Today, I share "Open Adoption: What it is not. What it is." I wrote this article for fellow adoption author Gayle Swift's blog. 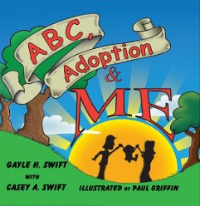 Gayle and her daughter wrote ABC, Adoption & ME, a delightful children's book. Please read this article and share it with anyone you think it may help. Open Adoption: What it is not. What it is. In this week’s blog, GIFT is pleased to feature a guest blogger. 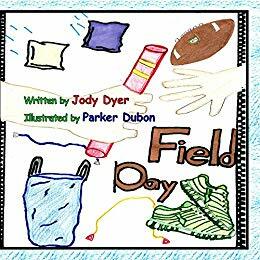 Jody Cantrell Dyer, author of Eye of Adoption, Parents, Stop and Think and Field Day. 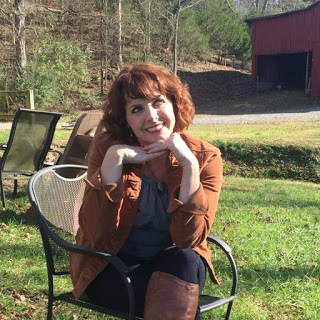 Jody is a mom by both birth and open adoption, and a teacher; she blogs at Theories Size 12. Jody writes with honesty, wit, and wisdom and is a vibrant voice for adoption. We asked Jody to write about her open adoption experience. Enjoy her insights. As fascinating and difficult as six exhausting years of infertility treatments and two years of the arduous domestic adoption process were for me, almost all the inquisitive remarks I receive from other people these days surround one topic: my family’s open adoption with my son Scotty’s birth parents, Bryant and Kerri. I consider it a privilege to enlighten others and create kinship within and around the adoption community. Because each adoption is different, and I am an adoptive mother (not a lawyer or social worker) I only feel qualified to write about my family’s open adoption. After my inquisitive colleague’s question, I reflected on the most common misconceptions people have. Almost always, they mention what open adoption is NOT, perhaps out of ignorance, perhaps out of fear, perhaps out of worry on my behalf. Almost always, I end up improving their understanding. Open adoption is not co-parenting. Scotty’s birth certificate reads “Jeff and Jody Dyer” as his legal parents from birth. We have an older, biological son, Houston (12). Our “rights” with both boys are identical. Kerry and Bryant make no decisions regarding Scotty. They do share, however, in the joys of watching him learn and develop. Open adoption relationships are not legally binding. My and Jeff’s obligation to Kerri and Bryant is one of a moral promise, not a legal contract. Honestly, I do feel obligated to them. Why wouldn’t I? They made us parents again and made Houston a brother. Jeff and I genuinely respect and care for Kerri and Bryant and are honored to keep in touch with them. We consider them friends. Open adoption relationships are not confusing. In fact, the situation is clear. We met Scotty’s birth parents about four months before he was born. In that time, we got to know each other and built a relationship of trust. We refer to Kerri as Scotty’s birth mother and Bryant as Scotty’s birth father. He calls them by their first names. Scotty is only four years old, so his understanding is basic and sweet. Open adoption is not always simple for adults to understand, but Scotty seems to comprehend quite well. He knows he’s loved by his birth family and his adoptive family.